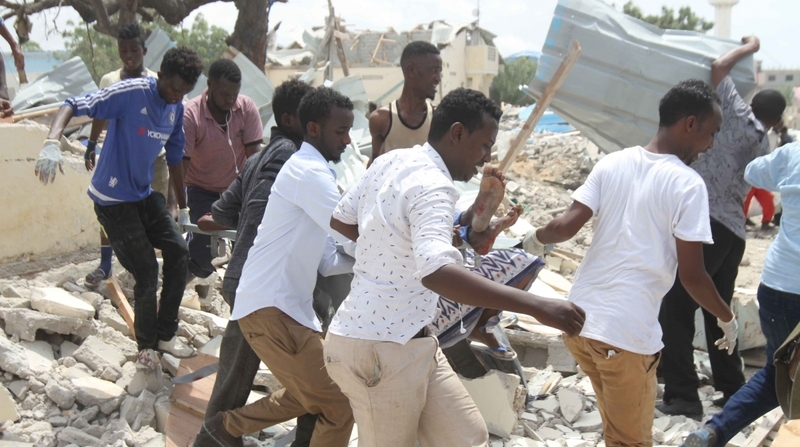 At least six people were killed and 16 were injured in a suicide car bombing targeting a local government office in the Somali capital on Monday, officials said. Police officer Abukar Mohamed told Xinhua news agency that a suicide bomber rammed the vehicle into the office of Hodan district, causing casualties. The offices of the district were also destroyed by the explosion, he added. “I saw many people injured in the blast and many buildings destroyed,” said one eyewitness, Nur Farah. Militant group Al-Shabab has claimed responsibility for the attack. On 2 September, the group launched a similar attack on Howlwadag headquarters, killing at least three people.